This weekend, the Bison men’s hockey team was on the road in Calgary to play the Dinos in a two-game series. Calgary knocked Manitoba out of the playoffs last season, and they got the better of them again on Friday with a comeback 4-3 win. 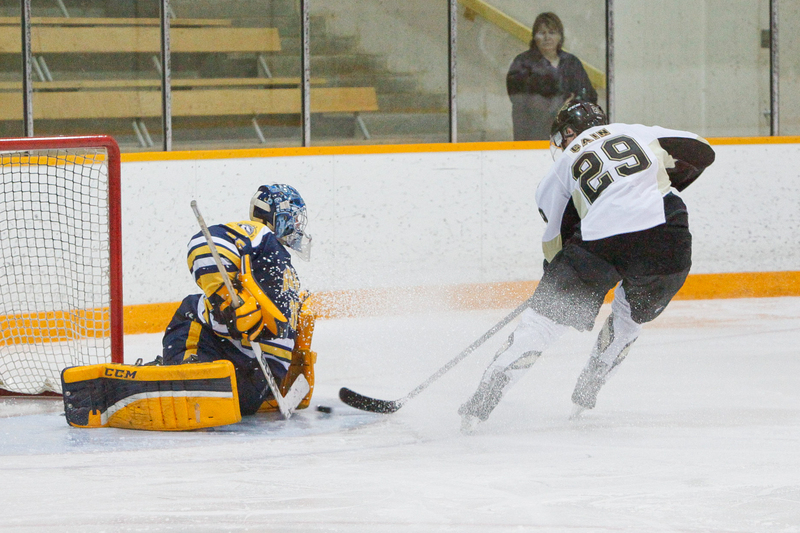 Manitoba came out strong in Saturday’s contest and took the game 3-2 to manage a split. The Bisons are 4-4 on the year, and are currently tied with UBC for fifth place in the Canada West. The Bisons got on the board with Jonah Wasylak’s first goal of the season seven minutes into the opening frame. Calgary then tied it up early in the second through Elgin Pearce, his first of two goals on the night. Justin Augert got the lead back eight minutes later with his sixth goal of the season. The Bisons held a 2-1 lead after 40 minutes of play. Pearce grabbed his second goal of the evening at the halfway point of the third to knot the score at two apiece. Calgary got a late power play goal off the stick of first year defenseman Braiden Doucette and gave the Dinos their first lead of the night. Calgary sealed the deal with an empty net goal with a minute and a half to go. Shawn Bowles managed to get his first goal as a Bison but it was too little, too late and the Bisons fell 4-3. 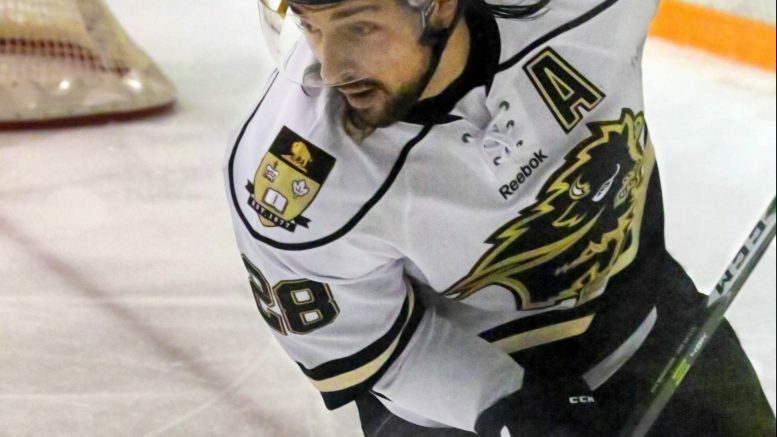 The Bisons did all their scoring in the first period on Saturday, as Shaq Merasty and Augert scored power play goals. Shawn Bowles also got his second career U Sports goal. Augert and Merasty are now tied in team scoring with eight points each. Augert is second in Canada West in goals, with seven. Calgary attempted a comeback and notched two goals in the second period to draw within one. But, Justin Paulic stood tall for the Bisons in net and registered 30 saves for his first win this season. Brett Stovin talked postgame about the team’s performance on Saturday and the depth this Bison team possesses this year, that allowed them to manage a split against Calgary. The Bisons head back home to play a two game series against the Lethbridge Pronghorns on Nov.11-12, first puck drop is 7 p.m. Friday at the Wayne Fleming Arena.